Nobody is better qualified to care for the body and soul of your ŠKODA than the specialists at our Essendon ŠKODA Authorised Service Centre. To give you added peace of mind; you have the option to purchase an extended warranty to suit your ownership cycle. Please contact (03) 9375 4111 or fill out our Service Enquiry & Booking Form. Expert care of your ŠKODA is vital. 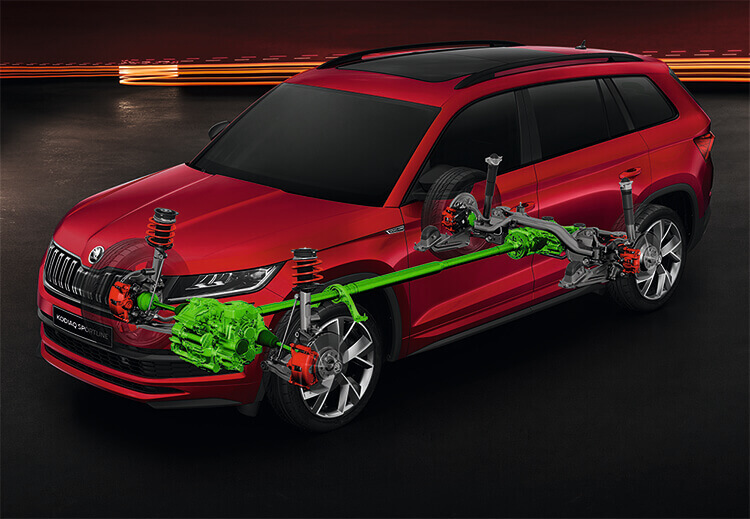 Essendon ŠKODA, Melbourne, Victoria servicing facilities are set up to provide the best possible protection of your valuable investment in the hands of our highly trained technicians. As part of the ŠKODA program, our team is committed to upholding the ŠKODA Customer Charter. This means your vehicle will be serviced in a state-of-the-art ŠKODA approved service centre, which offers the latest in technology, service programs and factory registered technicians. Not only does a service every six-months give you peace of mind, the ŠKODA Maintenance Program also helps protect your investment with written proof of the service history. When it comes time to sell your ŠKODA, one of the first things prospective buyers want to see is the service handbook. They want confirmation that you've looked after your ŠKODA. Regular servicing at the Essendon ŠKODA Service Centre demonstrates that you’ve maintained your ŠKODA, having it serviced by the most qualified technicians using top quality parts. This maximizes your vehicle’s future value.